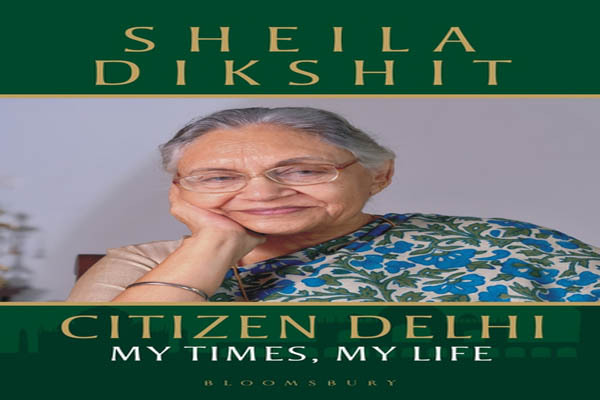 New Delhi(PTI): Former Delhi Chief Minister Sheila Dikshit is coming out with her autobiography, “Citizen Delhi: My Times, My Life”, publishers Bloomsbury India announced today. The memoir which will be unveiled on January 27 at the 11th edition of the Jaipur Literature Festival, will take readers through the “lifelong journey of the only female politician in India to be part of a select, overwhelmingly male, band”. “When I look back, I see an Indian woman, with what many may call a modern attitude even today, choosing to take the important decisions of her life and be accountable for them,” Dikshit said. The memoir documents how a girl who loved cycling along the tree-lined avenues of a brand new Lutyens’ Delhi, five decades later, went on to govern, and transform, Delhi as its chief minister not once, but thrice consecutively — from 1998 to 2013. “The narrative foregrounds a question that the author considers crucial for democracy how does one deal with the constant tussle between the dictates of governance and the here-and-now preoccupations of party politics?” Bloomsbury India said.